I asked Josh what he wanted me to make, whether it be for Father’s day or his birthday. I had a guess as to what one answer might be, but was not expecting banana cream pie. I mulled over the idea for a while. I had of course asked a bit in advance so I could do some planning. Having never made it before I needed to do some research. Every recipe I came across was different from the next. From the crust, to the filling and even the topping. They were all so very different. He doesn’t always like me changing things up from what he’s use to them being like. So with that, the cookie dough and nilla wafer crusts were out. I was determined to do something different though and I do believe I succeeded. The crust was very light and barely there. The something different was the black bottom, which consisted of a layer of chocolate. It was a nice addition to a fairly traditional dish. 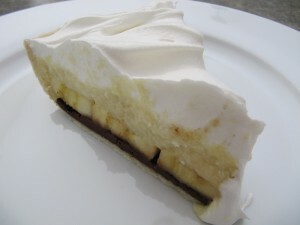 I’m not aware of any banana cream pies that don’t call for banana slices but maybe there are some out there. He seemed a bit thrown off by that which was peculiar to me. Afterall, it was banana cream pie. 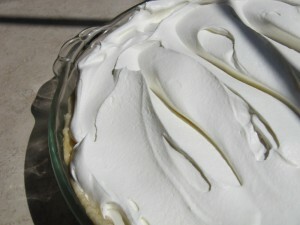 The funny thing is he swore up and down that I had added some kind of liquor into the pie, which I absolutely had not. I’m still not sure where that smell or taste he was getting was coming from. 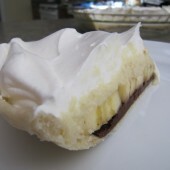 If you or someone you know is a banana lover, you absolutely must make this. Do spend the time making this crust. It’s really not hard at all and you’ll be glad you didn’t go a different route once you taste the finished product. 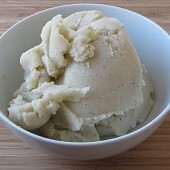 In a small bowl, combine 1/4 cup flour with ice water. Stir until blended well. In a medium bowl, combine remaining flour, sugar and salt. 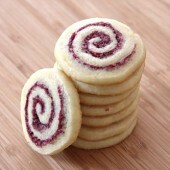 Using a fork or pastry tool, add shortening to dry ingredients. Mash up until combined and pea size balls form. Add wet flour mixture to medium bowl. Mix gently just until combined. Form into a small ball, then press into a disc between two sheets of plastic wrap. Using a rolling pin or other heavy round option, such as a wine bottle... I've done that in a pinch when need be. Roll out to fit your pie dish. Your pastry will become extremely thin. Don't worry about this, it's not nearly as fragile as it seems. Flip and roll as needed, keeping the dough between the sheets of plastic. Once you are satisfied with the size, freeze disc for 5-10 minutes. Remove one side of the plastic wrap. Flip and carefully place over pie dish. Press pastry into an ungreased pie dish. Remove remaining plastic. Fold over excess edges or decoratively crimp. I chose to fold over into the pie. Cover with foil and bake at 400 degrees for 20 minutes. Cool completely. In a medium saucepan or double boiler over medium/low heat, combine 1 tbsp cornstarch, 2 tbsp sugar, cocoa and 1/8 tsp salt. Slowly add 1/3 cup milk. Stir continuously. This will help to blend the ingredients as well as keeping the mixture from sitting and burning to the bottom of your pan. 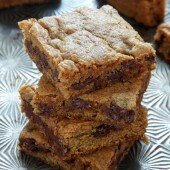 Toss in chopped chocolate. Stir until combined. Pour into prepared pie crust. In a medium saucepan or double boiler over medium heat, combine remaining ingredients: 2 tbsp cornstarch, 1/2 cup sugar, 1/4 tsp salt, eggs, 1 cup milk and butter. Stir constantly. Letting this mixture sit too long will allow buildup on the bottom of the pan quickly. Increase heat and bring mixture to a boil, continuing to stir. Remove from heat after it begins boiling. Your mixture should now be thick. Add vanilla, continue to stir for an additional minute. Beat cream cheese in a large bowl. Add roughly 1/4 cup custard mixture to cream cheese. Beat unntil blended. Pour in remaining custard, stir to combine. Slice 2 ripe bananes into bite size chunks, 1/2" - 1" thick. Arrange slices ontop of the chocolate layer within your pastry crust. Cover the entire bottom. Fill in gaps with smaller pieces of banana if need be. Pour custard over bananas. Use a spoon or rubber spatula to help spread the mixture out evenly. Cover with plastic wrap and chill for a minimum of 4 hours. I chose to let it chill overnight. In the meantime, toss your cool whip container in the fridge to thaw out. Top off with cool whip. Slice and enjoy. Store in the fridge for up to several days. Such a pretty pie – and what a surprise that layer of chocolate adds! 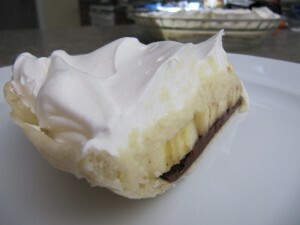 And no, I have not come across any banana cream pie recipe that doesn’t call for bananas!